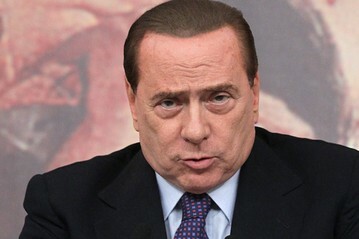 Now that Italy is staring into the abyss of the euro zone debt crisis, Mr. Berlusconi is no longer waxing philosophical. Measures aimed at fighting tax evasion are a central plank in Rome’s efforts to balance Italy’s budget by 2013 and appease the European Central Bank, which is currently propping up the Italian bond market. Billions in revenue will be recovered by cracking down on Italy’s infamous tax-evaders, the government argues, plugging large holes that emerged in Rome’s €45.5 billion austerity budget after the government scrapped politically unpalatable proposals, including tax increases and a pension overhaul. “The problem is that we have an unsustainable fiscal pressure weighing on the official side of the country”, Industry Minister Paolo Romani said in a recent interview at the Ambrosetti conference in Northern Italy. “We have to get €240 billion in phantom income back into official circulation, which means €120 billion in evaded taxes,” he added. Economy Minister Giulio Tremonti said he expects to recover from tax evasion €700 million in 2012 and €1.6 billion in 2013, by introducing prison sentences for evaders and by forcing tax payers to provide more detailed banking information with their tax returns. Speaking at the Ambrosetti conference, Mr. Tremonti noted that only 796 people in Italy declared incomes above €1 million last year while little more than 3,300 people earned more than €500,000. Analysts and European Union top brass question whether Italy is betting too heavily on its ability to rein in tax evaders. Similar policies have fallen short of their revenue-boosting goals in other countries, such as Greece, because the effectiveness of anti-evasion measures are hard to predict. Measures such as Italy’s jettisoned plan to levy a 5% tax on people who earn more than €90,000 tend to deliver more reliable results, because they target salaried workers who can’t hide their income from the tax man. The government, however, argues the fairest way to restore Italy’s fiscal health is to simply to make the chronic evaders pay up, rather than levying heavier taxes on those who have already borne the brunt of Italy’s fiscal burdens. Riots and protests have begun world wide! This is only the begining. With food prices skyrocketing and inflation setting in along with austerity measures in countries people have had enough. Egypt has been protesting for nine days and already the world is calling for Mubark’s resignation. As the year progresses food and fuel will increase in price along with other basic living essentials Expect to see more of this. 2011 – Riots in Assam, Meghalaya, Northeast India, 4 dead.